Andy and his team have been nothing but professional, thorough, and extremely knowledgeable throughout the process of setting up disability coverage. I could not recommend them more highly! The CDA Disability Counter is a public service that estimates the regular occurrence of long term disabilities lasting for one or more months that prevent working-age Americans (age 20–64) from working. The calculation methodology and future projections are derived from public and private data sources including the U.S. Census Bureau, the Social Security Administration, the Council for Disability Awareness annual Long Term Disability Claim Reports, insurance company statistics and actuarial calculations. These estimates and calculation methodologies are reviewed periodically and adjusted as needed based on newly emerging disability data and evolving disability trends. For more information, contact the CDA at info@disabilitycouncil.org. Protect yourself with personalized disability insurance now. The specialists at DI4MDs have dedicated over 30 years to serving the medical community and establishing significant discounts for you. Unlike many other professions, even the slightest injury or illness can end a physician’s career; the unpredictability of becoming disabled poses too big a risk. Preserve your earning ability in your own occupation with an individual disability insurance plan designed for you. Guaranteed approval disability coverage with no medical exam or questions required. Available at UCSD, Radys Childrens, Scripps, and other residency and fellowship programs across the country. Contact us to see if your institution qualifies. 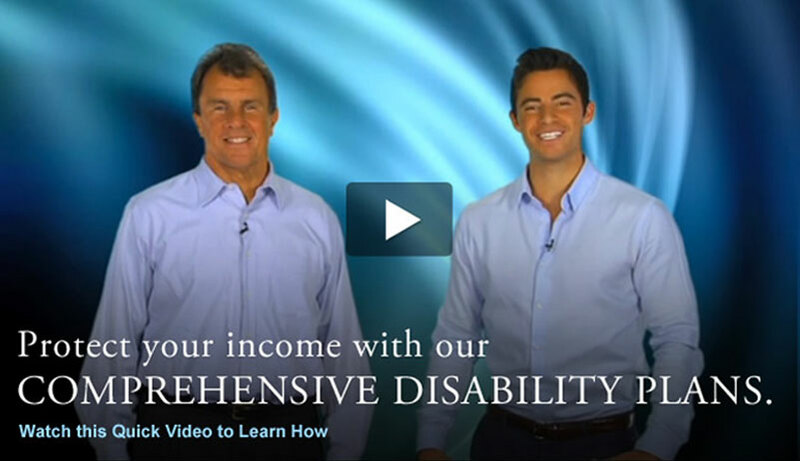 Early in your career is a great time to obtain disability insurance. The younger you are, the more cost-effective your premiums will be for a policy that stays with you wherever you go after you complete training. Learn more about our discounted guaranteed approval individual disability plans with no required medical questions or exam. We understand the unique needs and financial risks for military physicians. From a disability financial planning standpoint, military physicians are at a much higher risk of suffering financial consequences in the event they become disabled due to the following reasons: The U.S. Government will only pay disability benefits based on base pay and not on allowances, special or bonus pay; also, moonlighting with private practices provides even more uninsured income. This leaves the military physician vastly underinsured. Also, you must consider protecting yourself from loss of future earnings once you leave the military and enter a position with a much more lucrative income.